If you experiencing problems with your Reelplay device please read the Reelplay Support page for more information. Now you can stream live TV channels from around the world directly to your TV with Reelplay! Simply connect to you existing internet service via LAN or WIFI and connect to your TV. Using the remove control, simply select your favourite international TV channel and enjoy. Simple to use, sets up in a few minutes! Automatic playback on selected channels up to 7 days! Also plays from storage device such as USB stick or USB Hard Drive! Record Shows to watch later! Greek and Cyprus - Over 60 channels! Italian - Over 60 channels! Arabic / Middle East - Over 470 channels! Choose 3, 6 or 12 Months subscription and start watching now! 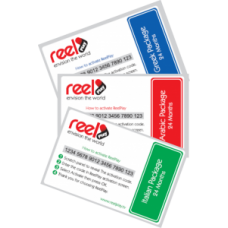 As a premium Reelplay dealer we purchase units in bulk from the wholesaler, so we can pass on the savings to you. Buying from Another World Computer Centre works out cheaper due to lower credit card surcharges. eg. Reelplay charges a 3% credit card surcharge and ours is only 1.9% for credit card or 2.75% for PayPal. Now with Free Delivery on Reelplay boxes with a Subscription! If you are experiencing any issues with your Reelplay device, please check the Reelplay Support page for solutions BEFORE contacting us to fix the problem. Reelplay or Another World Computer Centre (AWCC) are not responsible for the content and do not guarantee nor claim any rights to the content. Reelplay devices provide streams of all the channels as they are available on the internet. All other trademarks are the property of their respective owners. Reelplay receivers contain several links to third-party streaming providers that are “bookmarked” inside Reelplay device browser on the LIVE TV section. Reelplay provides these links as a convenience and does not endorse the companies or contents of any such links. Reelplay have no control over, is not responsible for, and makes no representation or warranty and disclaims all liability with respect to any such streaming. When purchasing a Reelplay device or subscription renewal you are purchasing a subscription with Reelplay to provide the service. AWCC is not responsible for the ongoing service or ability of Reelplay to provide the service in the future. AWCC is merely a reseller of the the Reelplay device. © 2009 – 2019 All Rights Reserved. Reelplay Arabic TV with Free Delivery! Now you can stream live TV channels from around the world directly to your TV with Reelplay box!Simp..
Reelplay Greek TV with Free Delivery! Reelplay Italian TV with Free Delivery! Has your subscription expired and need a renewal or want to add another region to your Reelplay box?.. 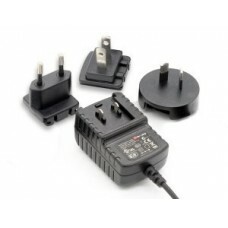 Official Reelplay TV power supply, ideal for use with Reelplay HD-110. This power supply comes with ..
Reelplay TV Replacement Remote Control40 buttons Reelplay HD-110 remote control, High sensitivity an.. Replacement box for a faulty unit only. NO SUBSCRIPTION IS INCLUDED. You will need to cont..